How to choose properly your wedding hat? Choosing properly your wedding hat. 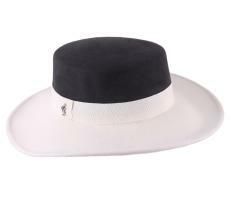 In this wedding season, what could be better than wearing a magnificent hat to add the final touch to your guest look? 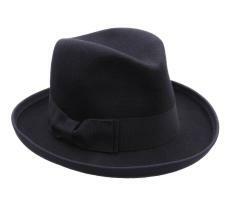 Floppy, fedora, bibi, trilby, etc. You have so many options but you do need to know which hat you can wear. Formerly considered as a very pretentious accessory reserved to royalty, ceremonial hats are no longer the exclusivity of Geneviève de Fontenay and of the bridegrooms's mothers. Today, the wedding hat is back into fashion, for your greater pleasure. Back in fashion thanks to Kate Middleton, spouse of Prince William and Duchess of Cambridge, the hat is part of the dress-code of a royal wedding. Being stickler for the propriety, princely weddings, specially British ones must be held following the pure tradition according to which women must wear a hat during the ceremony into the church. However, beware not to make a fashion faux pas! Even if most flamboyant and exuberant hats are allowed, a large-brimmed one would obstruct the sight of the guests sitting behind you! For ladies, there are two types of ceremonial hats: the hat and the bibi. 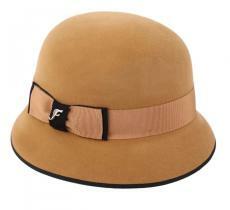 As we all know, the hat is a brimmed headwear which is generally horizontally placed on the head. If you're at ease with a headwear and want to stand out without outshining the bride, opt for the guest hat: floppy, panama, boater, cloche. You have so many options. As for the bibi, it partially decorates the hair of a guest woman, placed on the right or on the left of the head. It's fixed on the head thanks barettes or a headband. 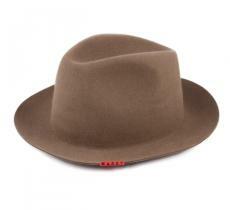 Partially covering the head, it is often more discrete than the hat. Besides, the bibi is adaptable to most of morphologies and face shapes! 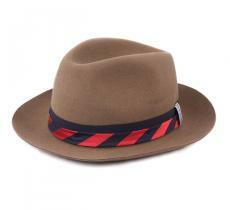 As far as men are concerned, the panama is causing much craze! 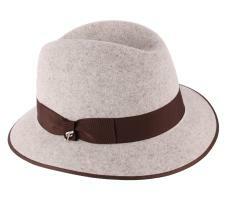 This finely woven straw material is suitable to all shapes of hats: trilby, fedora, traveller, etc. Worn with a classic suit, the panama will give your ourfit an original and summery touch. Relax and atypical, the porkpie will satisfy those who want to fully express their confident personality and who are on the lookout of fashion trends. 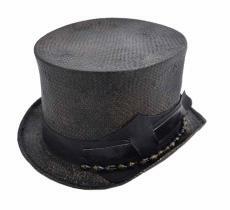 For the groom and his loved ones, the inescapable top hat will make them be all dressed up! 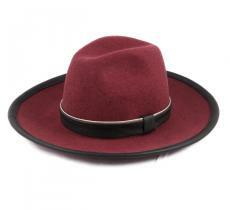 This headwear will bring a retro and vintage touch, well assumed for those who will wear it. Once your wedding hat choosen, you now need to think about matching it with your outfit, your accessories and with the wedding theme. 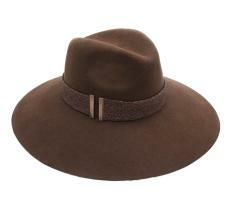 With flashy colored dress and tawdry accessories, prefer a hat with neutral colors like beige or grey. To get a summery touch, the straw hat like the fedora panama or a boater will do honour, above all when accompanied with a warm-colored braid. If you want to display the sobriety and the elegance of the wedding theme, take a felt black hat like the floppy or the fedora. It's a safe bet! On the contrary, if you love being under the spotlight, stand out with a major sophisticated hat, with large brims and harebrained patterns. Beware however no to look like a clown by choosing a classical and timeless outfit. 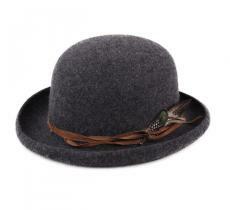 For the creative ones or those who have a precise idea of what they want, try our module of personalization of hats! Your imagination will be limitless with this bespoke service. With all this tips, you cannot make mistakes. Your outfit is all ready for the wedding day. Now you can fully enjoy the moment and celebrate the bridegrooms.